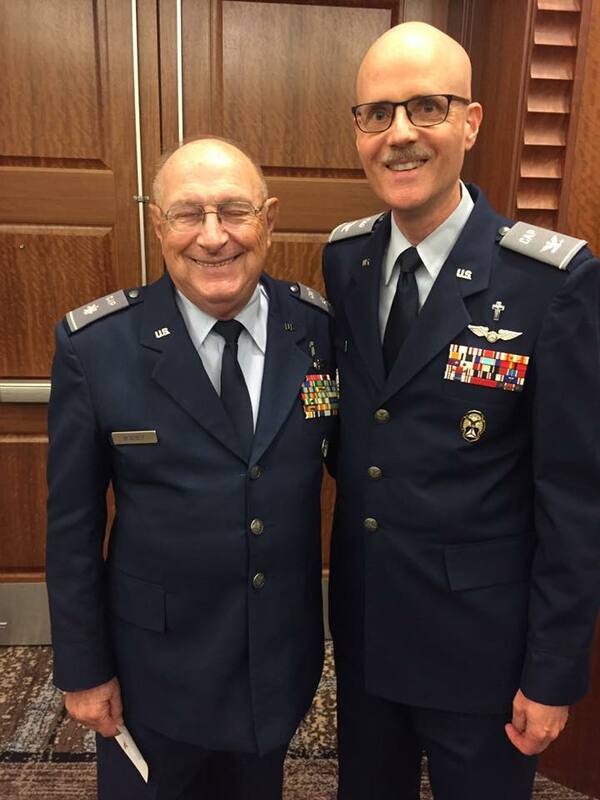 Chaplain (Lt. Col.) David Bobbey of North Carolina and Chief of Civil Air Patrol Chaplain Corps, Chaplain (Colonel) Charlie Sattgast pose before the Military Chaplains Association award ceremony in Virginia on 24 October 2017. 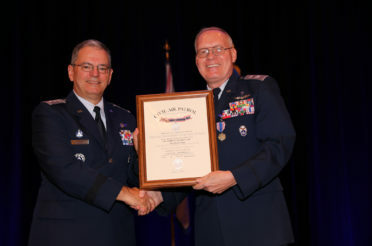 Civil Air Patrol Chaplain (Lt. Col.) David Bobbey received the 2017 Military Chaplains Association Distinguished Service Award at a ceremony on 24 October 2017. Bobbey lives in North Carolina where he currently serves as the Deputy Middle East Region Chaplain. 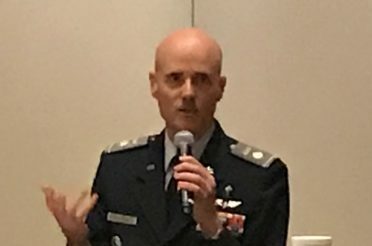 The Chief of Chaplain Corps for the Civil Air Patrol, Chaplain (Colonel) Charlie Sattgast was in Newport News, Virginia, during the annual MCA conference with Bobbey to witness the presentation. 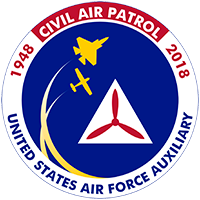 Bobbey supports the members of the Civil Air Patrol and is currently on an Air Force “mission” to augment the chaplaincy of the local Air Force units at Pope Air Force Base. Chaplain Bobbey has earned the following degrees: Bachelor of Science in Bible/Systematic Theology, Philadelphia College of the Bible; Master of Divinity at Grace Theological Seminary; Masters of Arts degree in Human Resources and Counseling from Liberty University. 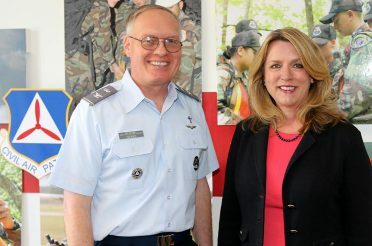 As a member of the Civil Air Patrol, he has completed the Squadron Leadership School, Corporate Leadership School, Region Staff College, and the National Staff College. 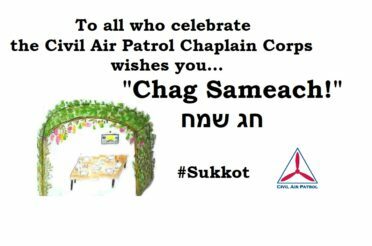 He is a Master Level Chaplain and a qualified Mission Chaplain. Chaplain Bobbey has served as a Squadron Chaplain, a Group Chaplain, a Wing Chaplain and a Region Chaplain. 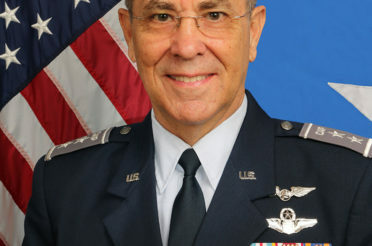 Some of his CAP awards include the Commander’s Commendation, the Meritorious Service Award, the Gill Robb Wilson Award and the Charles E. “Chuck” Yeager Aerospace Award. His recognitions include the North Carolina Wing Senior Chaplain of the Year, the Middle East Region Senior Chaplain of the Year, and the North Carolina Wing Squadron Chaplain of the Year. Chaplain Bobbey’s commitment to support the military community is expressed by: After being commissioned as a Reserve Army Chaplain in 1969, Chaplain Bobbey was called to active duty. He served with the 101st Airborne during the Vietnam War in 1971-72. Chaplain Bobbey retired from active duty service in 1990 having served his country for 20 years. That same year he and his wife, Jean, began serving as missionaries in the Republic of Panama with Overseas Christian Servicemen’s Centers, now Cadence International. In late 1993 they established the first Cadence Hospitality House Ministry to the military at Fort Bragg and Pope Air Force Base. 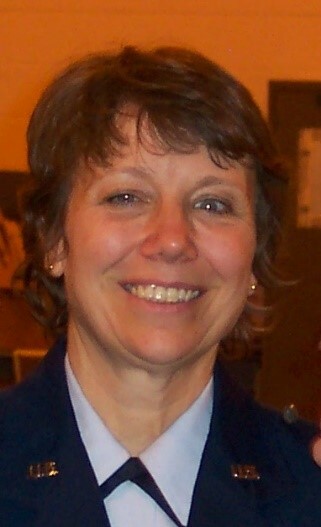 Selected as the Eastern Regional Director of Cadence International in 1997, Chaplain Bobbey served in that capacity until December 2010. 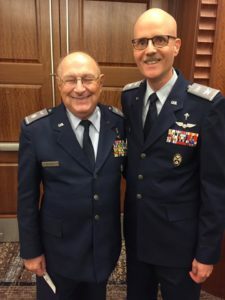 In 2004, as a Civil Air Patrol Chaplain, Chaplain Bobbey began providing volunteer military support to the airmen and their families assigned to the 43d Airlift Group at Pope Air Field, Fort Bragg, North Carolina. In this role he has performed unit visitation, provided counseling, mentored reserved new chaplains, as well as serving on the chapel team. This past year, Chaplain Bobbey has participated in 168 activities, donated 834 hours, traveled 5,100 miles and invested $3,042.00 in support of the 43d Airlift Group. He is also a member of the Military Chaplains’ Association. The Military Chaplains Association is a 501(3)(C) non-profit professional ministry advocacy organization and Veterans Service Organization. Chartered by the U. S. Congress in 1950. Member of The Military Coalition, Inc. and the Veterans Day National Committee. Whether national or local chapter levels, heavy emphasis on “volunteer service.” Its members come from the Active, Guard, Reserve, Retired, and prior service members from the Army, Navy, Air Force, Department of Veterans Affairs, and Air Force Auxiliary Civil Air Patrol chaplaincies. 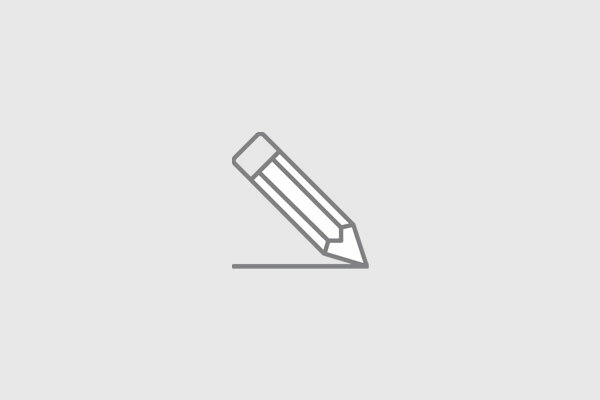 Members represent broad cross-section of religious faith groups in America that provide chaplains for the Armed Services and the Veterans Administration.